Titled Property On The Road To Drago Beach On Isla Colon. This is a beautiful piece of land that can be used for a small sustainable farm. There is a small creek that runs through the property. With 6600 sq mts of titled property, there is plenty of room for building your house. It can be 30% cheaper to build as the delivery trucks can deliver from the Drago road. 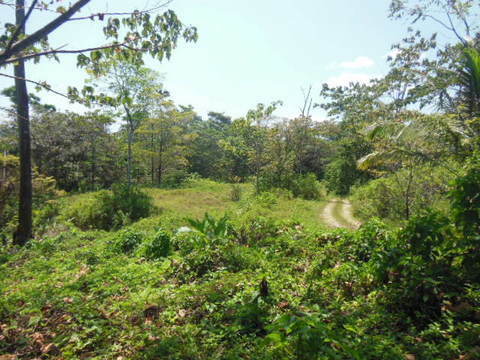 This land is a convenient 10 minutes to Drago Beach and 20 minutes back to Bocas Town. It is located close to to a local school. There is a small caretakers house located on the property. Currently the local caretaker takes care of the property and would be willing to stay on.This property location is like the small farm land that makes you think of Hawaii with the sea being close by a farm. Come start a new sustainable life with farm animals and working the land. Bocas style!